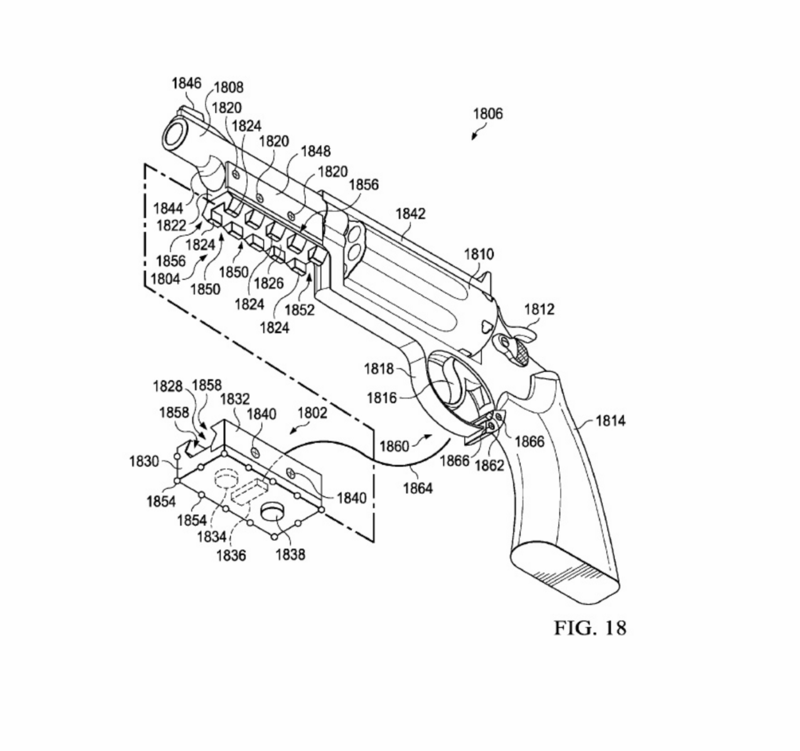 We knew that we needed a gun controller that would fit on a real gun even before we filed our first two patents. Shooting a shotgun at a moving object requires you to swing the gun with the target – then follow though after the shot – not unlike swinging a baseball bat, golf club or tennis racket. So we knew we had to fit the controller onto the gun – not a plastic imitation of a gun with an orange muzzle – but the gun itself. Four years later, we are finishing the first prototypes and are lining up experienced shooters with HTC Vive VR rigs to test them. Our patent pending VR controller will fit any firearm from .177 caliber to 12 gauge, but we are testing on shotguns first – .410, 20 gauge and 12 gauge. I have used the prototype – putting the VR controllers on your gun is going to be as close to shooting as you can get – except that you can shoot at direct incoming shots like in the field – which you don’t at the range. Plus shooting VR with your own gun is a lot easier on your ears, shoulder, and your wallet. And unlike the real world, you actually see where you are missing in VR. The weight of the rig should be less than two shotgun shells. The controller should pair seamlessly with the Steam software and you should be able to play any VR shooting games with any of your own guns – from an AirSoft .177, a 9 mm or your tricked out 12 gauge K-80. Boat is full – we have 10x more volunteer testers than we have prototypes. Email me for a place in the queue ! You are on to something here that will disrupt the shooting/hunting experience – pheasants beware! However, if you want mass-commercial success I think you’ll need to develop product for Sony Playstation setup or else someone else will corner the market – patent or not. Looking forward to news on this! Would like to be a tester and try out in Australia ….